Trunk floor flexing a tiny bit at higher rpm shifts. Re: Trunk floor flexing a tiny bit at higher rpm shifts. in the video there is an audible light sound that occurs through out the video. almost sounds like something is loose and banging around... is that the sound from your trunk floor? or is that from your diff/diff carrier floating around? Car felt totally solid with Vincebar, front cups, and Vinceskinz epoxied on! Funny that you mention that. That's essentially exactly what I am doing. I had the laser notched tubes arrive last week and I'll be fabricating the first prototype 6-point brace this weekend. Triangulates all 4 subframe mounts with the rear shock towers. When finalised it will be available in kit for for $650 Aud (~$480 USD). It's entirely bolt in and can be removed when the entire boot function is needed. 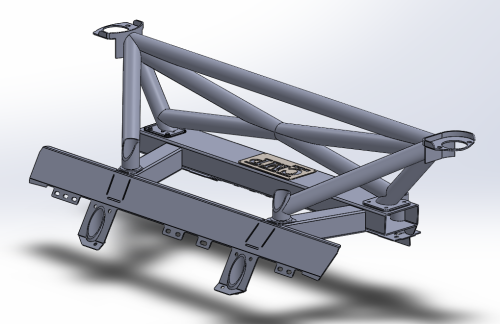 I was intending to expand on this brace by designing a bolt in half cage where the back stays mount onto the horizontal bar just inbound of the rear shock towers. I'll be posting pics here if you'd be interested in following. This full set up is exactly what I want. I'll be ordering one of these when their ready. You can post the pics here. For now I'll get the lower bars installed first. Yes its from the differential area. Not exactly sure where the noise is coming from but it is making pop noise on accelerations and deccelerations and sometimes while shifting. I took the video to check if it was the rear upper shock mounts and found out the trunk floor was flexing. Everything looks visually fine underneath, I would have to start tearing the car a part to figure out what it is, but the subframe plates looked visually fine, bolts are all tight but front differential bolt hasn't been checked. Anyone have any ideas what it is? I ordered new rear differential bolts cause I probably don't have the updated ones. Anyone have any ideas what it is? I ordered new rear differential bolts cause I probably don't have the updated ones. I didn’t read the whole thread. But could it be a loose diff bolt on the front. You can get at it without taking anything apart and just lifting the rear right corner nice and high for the leverage you need to get it to high torque number. I can’t remember but it’s around 154lbs but verify that. After bolting my subframe back in that front diff bolt wasn’t tight so it caused the diff to bang with/without throttle and gear changes. I also needed to snug up the rear diff bolts which isn’t that much torque. Checked the front differential bolt and tightened it down to 148ft lbs but its still making the popping noise. I need help diagnosing the popping, I checked all subframe bolts and differential bolt and all is tight and good. RACP reinforcement plates looks intact, no signs of cracks anywhere, rear left wheel arch looks good, no signs of seperation on the common area. Only thing left I can think of is the trailing arm lower ball joint and upper ball joint, those haven't been replaced, the lower ball joint did have some movement but it was circular movement like a ball movement so I'm not sure if its the issue(no play in the rear wheels). Or maybe my differential is going bad. Last edited by nujav; Thu, Jul-19-2018 at 05:58:54 AM. All times are GMT. The time now is 02:23:16 AM.